Adding a personal touch to your wardrobe is a great way to express your style. Whatever the item, personalize it with these 10 ways to customize your clothes. We all want to have a beautiful, expansive wardrobe that just mirrors and exudes our personality. Usually, for your wardrobe to give off that personalized feel, you need a lot of money. Let’s face it: It’s hard to stand out when we’re all wearing the same shirts from H&M. 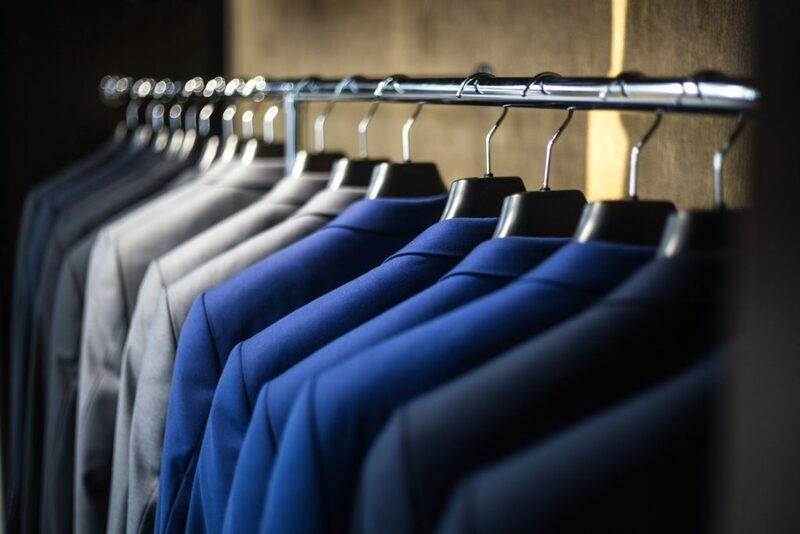 Typically, only a high-end fashion designer or tailor can give us the personally-designed clothing that makes our wardrobes pop. But thanks to the Internet and the “ingenues” that populate it, we can easily crowdsource ways to spruce up our wardrobes DIY-style or on the cheap. Below, we’ll show how to make your wardrobe pop by learning how to personalize it for cheap. All of the ways to elevate your wardrobe and personalize it listed below will be free, or extremely cheap to execute. Let’s get to it, penny pinchers! We’ve all got ’em. All those old tee shirts sitting in some forgotten corner of our closet or back-drawer of our dresser, collecting dust. It seems like no matter how many garbage bags we fill with them to send to Goodwill, they never quite disappear. Well, this time around, try updating them instead of giving them away. All you need is a pair of scissors, there’s so much you can do. You can cut down the length and chop of the sleeves to create a cute crop-top. Or you can cut the bottom into trips to give it a fringe look. You can find all the different ways to chop up your old band tees here. You don’t need a thousand dollars to give your clothes a chic, trendy look. Just try adding some flair! Pins are in right now, and they’re a very simple way to add some color and personality to a plain white collared shirt, a denim jacket, or a pair of old jeans. You probably have a collection of ankle-length dresses that you no longer wear because, well, they’re not really in right now. But the color or patterning might, so instead of giving it away, try reinventing the piece by chopping some length off! You don’t need an expensive tailor. It’s very easy to do on your own. Vintage leather and denim jackets can go for hundreds of dollars in designer stores. It makes you think that the punk, worn look of these jackets would be impossible to replicate, but it’s simply not true. Patches are incredibly simple to add to clothing, by either ironing or sewing them on. You can view here for more information on what kinds of patches are available to you for cheap. They’re the best way to express your individuality fashion-wise. Don’t stop at decorative patches, either. You can also sew leather elbow patches onto shirts and sweaters for some bonus style points. Shoes of Prey is a woman’s shoe company that allows you to create and customize your own shoe silhouette. The site allows you to add whatever colors and patterns you’d like to a variety of different shoe shapes. At $170, they’re pretty expensive compares to everything else on this list, but what you get in return is well-worth the price. The layman’s version of this is to add your own pop color to your shoes if you own any white canvas sneakers. Your old cotton white tees are probably stained with sweat and yellow with age. But all is not lost, with a little tie-dye action. This is an incredibly easy DIY project. You can try a variety of different dye techniques, from ombre to Shibori and your wardrobe will benefit either way. As a plus, it’s a perfect style for the summer! This screams “old money” but it’s actually very cheap to do yourself or have it done for you. The addition of a monogram or family crest to a tote bag or a set of towels is the perfect way to elevate your wardrobe. You can do this with at-home screenprinting techniques or you can have a local tailor stitch in an embroidery for you for relatively cheap. So take that old purse to the tailor and personalize it! Lace is an incredibly cheap piece of fabric. It’s quite easy to find at your local art supply store and is equally easy to add to your wardrobe. You can add a lacey flair to the cover the holes in a pair of cut-off denim shorts or add sleeves to a delicate tank top. With just a sewing kit, you can make your wardrobe go from old and drab to sophisticated and sultry in no time. Currently, it seems that light wash jeans are more in style than darker jeans. If you’ve got a bunch of old A&F jeans from the early 2000s laying around, it’s very easy to give them an update. All you need a is a bucket, some bleach, and a pair of rubber gloves. With those tools, you can reverse-dye your jeans in a variety of different styles. The Fourth of July is just around the corner, and if you don’t have a barbecue-ready outfit yet, you can make one yourself. Of course, no July 4th outfit is complete without some aspect of the flag emblazoned on your clothing, so why not add some white stars to your those denim cut-offs you’ve got laying around? All you need to complete this look is a star stencil from an art supply store, white paint, and a sponge brush. You can find the full instructions here. Need More Affordable Fashion Tips? Being strapped for cash shouldn’t be a death sentence in the fashion world. And if there aren’t any affordable clothing options out there, sometimes you’ve got to create your own. Hopefully, this list should get you started on sprucing up your fashion game on a limited budget. However, if you need more tips, check out our guide to looking rich on a budget.